Lord Ouseley was raised to the peerage as Baron Ouseley, of Peckham Rye in the London Borough of Southwark in 2001. He is a crossbencher. He was educated at William Penn School in South London, and Catford College, where he obtained a Diploma in municipal administration. Along with his wife, Margaret, he has two children. He was formerly Chair and Chief executive of Commission for Racial Equalityas well as Managing Director for Different Realities Partnership Ltd. He also has thirteen honorary degrees. 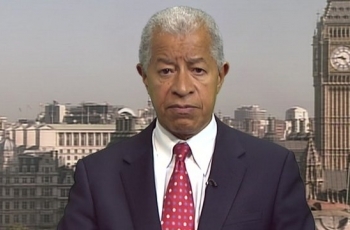 Lord Ouseley has expertise in equality and diversity issues and is the Chairperson of several charitable organisations as well as being a Patron for dozens of organisations. He has been at the forefront of challenging institutional racism in organisations and is an advocate on behalf of individuals from disadvantaged and deprived backgrounds.